Visual Studio Code>Themes>PaperColor Redux ThemeNew to Visual Studio Code? Get it now. 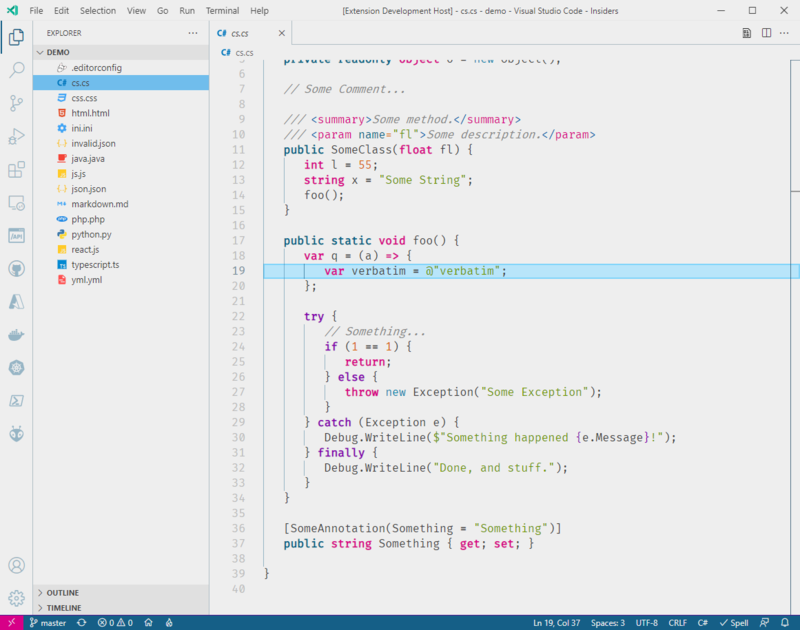 Updated papercolor theme for vscode. A semi-reasonable attempt at porting the VIM theme PaperColor to VS Code. The font shown in the screenshot is Fira Mono (Githib: Info, Repo). This theme is still very much a work in progress, so feedback is appreciated! I've been using the awesome papercolor-vscode theme for quite some time now, but it hasn't seen updates in awhile, and uses an XML-based textmate theme which is a bit of a pain to work with (IMO). Plus, I wanted to make a number of changes without changing the other project. I used the Cobalt2 Theme json theme file as the basis for this one.